Over the weekend Disney released this awesome new Guardians of the Galaxy Vol. 2 Marvel Vinylmation Series! 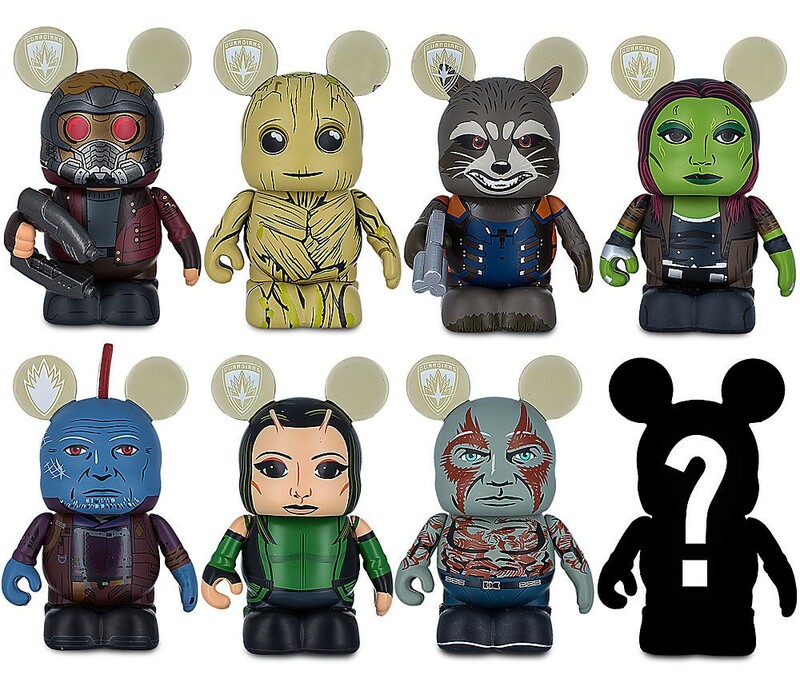 Based on Marvel’s upcoming live action Guardians of the Galaxy sequel directed by James Gunn, this 3” Vinylmation blind box series includes Star-Lord, Rocket Raccoon, Gamora, Groot, Drax, Mantis, Yondu, plus a mystery chaser. 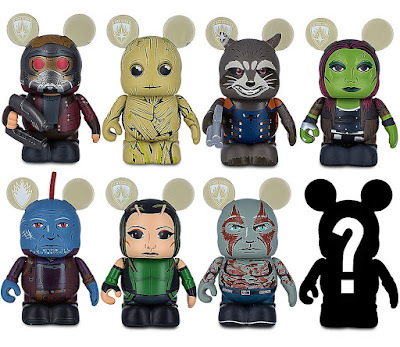 We know the mystery chaser is Nebula and there is a variant Groot in his GotG uniform. 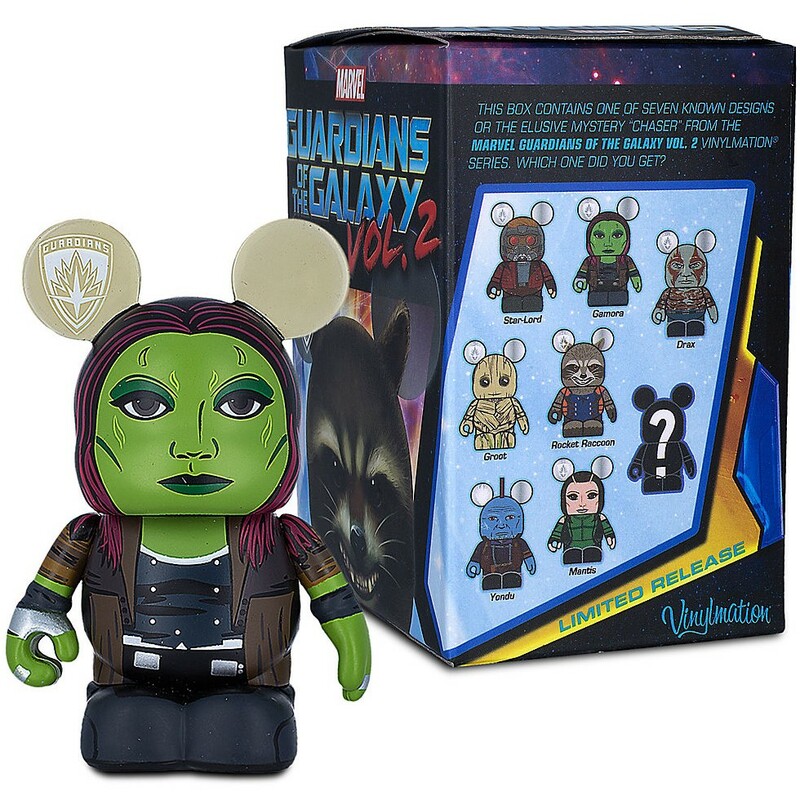 Rumor is there may also be a Gamora variant floating around out there as well. Guardians of the Galaxy Vol. 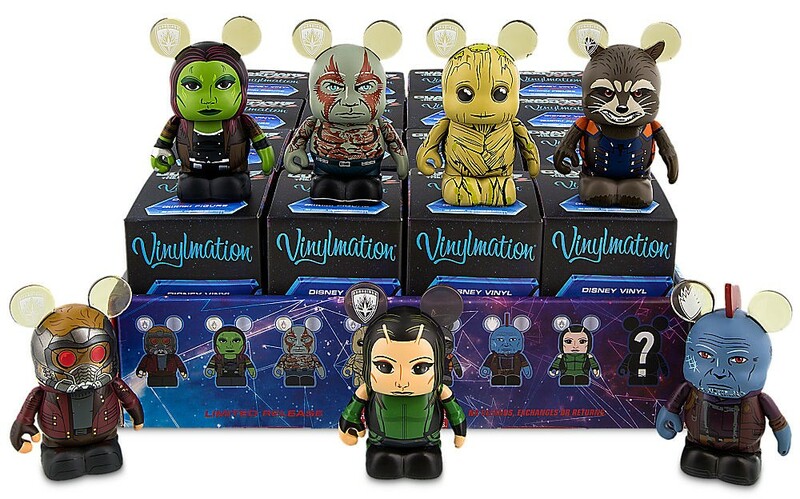 2 Marvel Vinylmation Series went on sale March 24th at Walt Disney World, Disneyland and online at the DisneyStore.com for $12.99 each or $207.84 for a full case of 16 blind boxes.